We’re excited by the results of 2016, our first full year of operating our new online service. 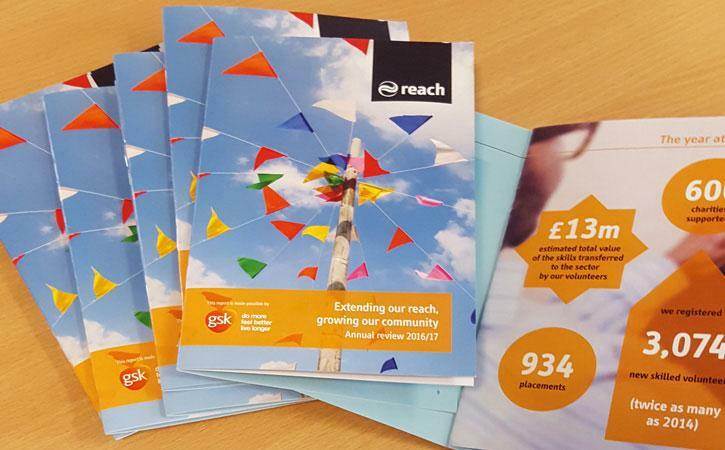 Reach Volunteering supported over 930 placements last year, an increase of over 30 per cent on 2014, the last full year of our ‘offline’ service. And we estimate the total value of the skills transferred to the sector by our volunteers last year to be £13m. Want to know more? Our latest annual review has all the detail. Our highlights and achievements from 2016 and ongoing plans for 2017.